Correction 12/4/18: This post has been edited to correct the description of the new exemption, and to acknowledge the contributions of SPN, LCA, and Harvard. Online games have finally found their way into the video game preservation exemption to Section 1201 of the Digital Millennium Copyright Act (DMCA). This is a small expansion of user protections against an overbroad law. While the expansion is limited to particular users, it is nonetheless a small victory that will allow the preservation of video game history to develop further. The Museum of Art and Digital Entertainment, assisted by the Samuelson Law, Technology, and Public Policy Clinic at Berkeley Law, championed this year’s effort. Over the past decade the number and revenue of online games have reached new heights in the video game industry. From the success of popular titles like League of Legends and Fortnite, there does not appear to be any indication that the online gaming community will stagnate soon. The success of games has also encouraged scholars to research the potential social and behavioral impacts on the people who play them. From analyzing teamwork for collaborative in-game missions to cyber-bullying and romantic relationships, online games of the past and present can be fertile ground for research, furthering our understanding of how the digital era shapes social interactions. Sadly, many games eventually become discontinued, unplayable, and forgotten. For many games, no one, including researchers, can play or legally access them once game developers pull the plug. Online games were excluded from the first video game preservation exemption that was granted during the previous triennial rulemaking, the laborious process one must endure in order to create exemptions to Section 1201’s prohibitions on circumventing technological protection measures (TPMs). EFF and attorney Kendra Albert took on this fight in 2015 and spearheaded the previous video game preservation effort. In response, the Library of Congress granted a narrow video game preservation exemption, which allowed museums, libraries, and archives (collectively referred to as “institutions”) to preserve abandoned video games for “local gameplay.” However, the “local gameplay” limitation rendered the exemption almost useless in an era when online games have overtaken the video game market. The exemption expressly disallowed gameplay “through an online service or facility,” making it clear that disconnected online games would remain inaccessible. Last month marked the end of the Seventh Triennial Rulemaking. As the DMCA currently requires, activists needed to repeat the exemption battle again in 2018 to maintain what was already granted and also to include online games. In January, MADE proposed an expansion to further expand the existing exemption to 1) include online gameplay; and 2) widen the class of users of the exemption to include “affiliate archivists,” a group of supervised individuals who would contribute to the preservation cause. However, restoring online servers in abandoned video games would likely require access to and reproduction of copyrighted content that was previously stored on an external computer server. And broadening the users of the exemption could also mean loosening the current requirement that such games are not made available beyond a qualified institution’s physical property. Also this year, the Software Preservation Network (SPN) and the Library Copyright Alliance (LCA), assisted by the Harvard Law School Cyberlaw Clinic, petitioned for a broader new exemption to protect software preservation projects, including ones that reach beyond games. The Entertainment Software Association (ESA), along with other major entertainment company associations, opposed both of these expansions. Last month, the Acting Register of Copyrights (the head of the Copyright Office) found some of the proposed amendments to be non-infringing fair uses that were entitled to an exemption. She recommended a rule that expands the exemption. The new exemption, as with the 2015 exemption, allows both individual users and archival institutions to modify games to remove the need for verification by an external server in order to make games playable again after a verification server has shut down. However, this part of the exemption is still limited to games that don’t depend on any game content stored on an external server. In addition, the new exemption allows institutions like libraries, archives, and museums to restore a broader group of games, including games that depended on content (such as graphics) that was stored on a server—as long as the institution has a lawfully acquired copy of the server code. The new exemption also includes a provision that comes from SPN and LCA’s proposal. The added text allows preservation institutions (museums, libraries, and archives) to circumvent access controls on some games (though not games that depend on remotely stored content) for a variety of purposes, if a game is not “reasonably available in the commercial marketplace.” If institutions can meet this requirement, they have the freedom to reproduce and modify functional components of the video game server software for research, preservation, and archival purposes. While the exemption is narrow, it is encouraging that the Acting Register recognized that TPMs such as access codes might still lurk in lawfully possessed games. The ability to bypass these additional TPMs now enables institutions to further the study and preservation of server-dependent video games as well. The exemption granted by the Librarian is narrower than what MADE proposed. First, the Librarian of Congress did not grant users the right to circumvent TPMs in order to recreate a game’s original server software. The Copyright Office believed this request potentially infringed on game developers’ exclusive right to prepare derivative works because restoring the disconnected servers reflected reconstruction rather than preservation. But this exclusion brings the following scenario to the forefront of copyright headaches: even if rightsholders of online games have no intention of re-releasing an abandoned title from its vaults, Section 1201 prohibits other users from accessing it. Disconnected games risk being buried over time in the accumulation of digital dust and cobwebs when they could instead be vessels for interdisciplinary studies. How exactly again does this promote the progress of science and useful arts? Second, the Copyright Office did not adopt MADE’s proposal to expand the class of users to affiliate archivists, a group of supervised individuals who would contribute to the preservation cause. Incorporating this proposal into the final rule would have allowed individuals to circumvent video game TPMs in their own homes. The Acting Register was concerned that institutions would be unable to adequately supervise volunteers working remotely. In the short run, archivists won’t be able to tap into this pool of volunteers who could aid in game preservation. But in the long run, this sub-battle is not over. Institutions are now on notice to develop transparent and protective guidelines for individuals who wish to augment the preservation community. 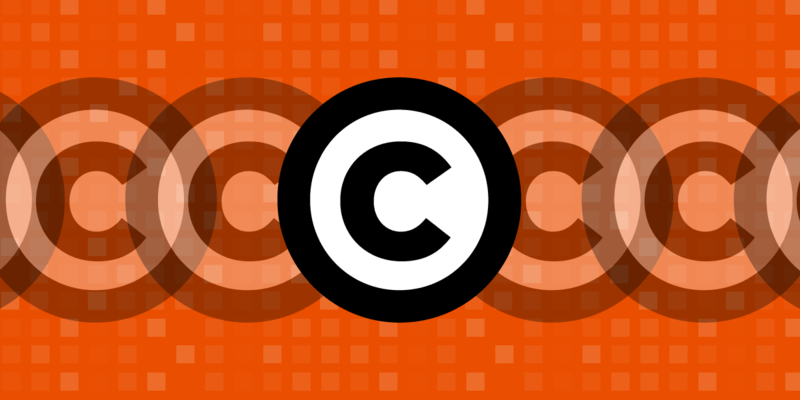 These practices will hopefully safeguard against the Copyright Office’s fears in the future. While the video game exemption that was granted did not embrace all proposals, optimism remains on the horizon. On behalf of a security researcher and a digital entrepreneur, EFF has sued the federal government, arguing that Section 1201 and the rulemaking process are unconstitutional restraints on speech. Section 1201’s rulemaking may feel like a never-ending dungeon but we believe it’s not impossible to overcome. It might just take a few more rounds to deliver the final blow.